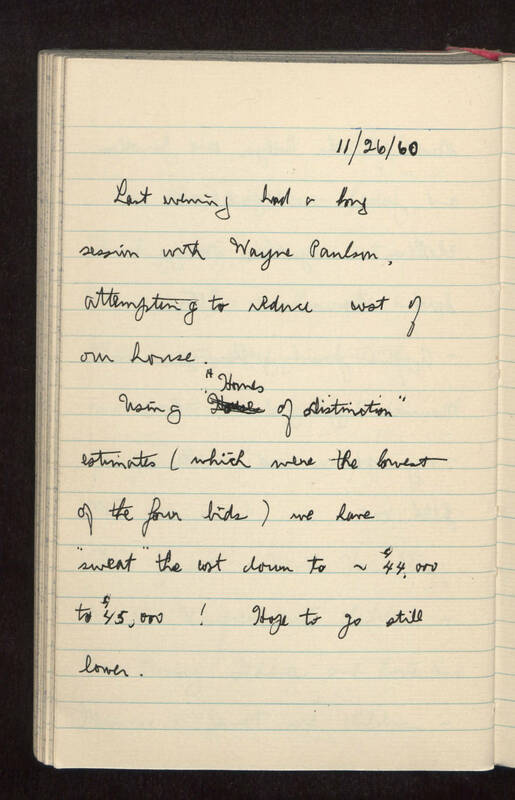 11/26/60 Last evening had a long session with Wayne Paulson, attempting to reduce cost of our house. Using "Homes of Distinction" estimates (which were the lowest of the four bids) we have "sweat" the cost down to ~$44,000 to $45,000 ! Hope to go still lower.